Greetings! 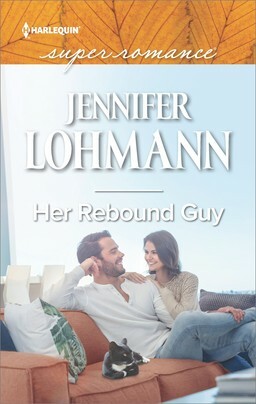 We’re less than a month away from my next Superromance release on July 1st…. Have you ever read one of those books that had a profound impact on not just the reader inside you but on your life as a whole? The people involved in these stories (real and imaginary) gripped me so tightly I had difficulty sleeping at night thanks to a constant loop of their actions and words playing out inside my head. Their situations, predicaments, and tragedies wove themselves into the marrow of my bones until, in the midst of reading or re-reading their books, it was sometimes hard to distinguish their lives from my own. Call it well-written prose or the magic of good storytelling, I was thrust quite forcibly into these worlds, into the minds and hearts of these characters, so that their hearths were my own as were their goals and conflicts, and every ounce of their joy and pain. These books are the reason I read. They are also the reason that I write. I wrote the first draft of His Rebel Heart when I was barely into my twenties. All I knew at the time was that these characters had to be given their due. They demanded it. It was the third book in what was then a five-part series. I rushed it so that I could get the stories behind it onto paper as well. Needless to say, the draft left much to be desired for me and my characters. I didn’t do them justice; which was perhaps why they continued to haunt me and speak to me with increasing volume and detail through the years. Nearly a decade later, their time came a year after the first book in the series, A Place With Briar, was contracted by Harlequin and I became a part of the Superromance family. After completing work on the second book, Married One Night, I sat down and finally was able to revisit the hero, James, heroine, Adrian, and their son, Kyle. Another pivotal event that led me back to this story: the birth of my own son in 2012. Through my relationship with him, everything involving Adrian and Kyle’s relationship seemed heightened. It added dimensions to an already emotional storyline I hadn’t achieved and couldn’t quite grasp in my early twenties. 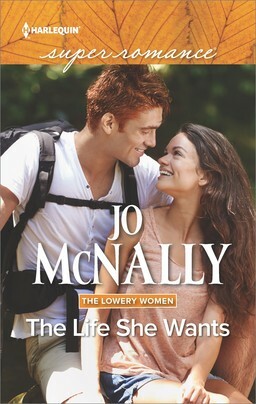 Similarly, it created an opportunity for me to explore the broken relationship between the hero, James, and his mother. Can a rebel ever change his ways? Being a single mother and successful florist is tough, especially when your next-door neighbor is the man who shattered your heart. Eight years ago, bad boy James Bracken walked away from Adrian Carlton…and their unborn child. Now he’s back. And Adrian’s desire to protect her son from the truth of his biological father isn’t enough to hide the wild blue eyes of father and son, or to keep Adrian from surrendering to the raw passion between her and James. But is he truly the changed man he claims to be? Maybe this time his rebel heart really is home to stay. This wasn’t an easy process. In order to create a solid Goal-Motivation-Conflict, which is essential to character-driven stories like mine, I have to live and breathe these characters. The funny thing about His Rebel Heart, though, was that this proved easier than most books. I seemed already to be embedded in their lives. In real life, I’m a wife of nine years to a wonderful husband. 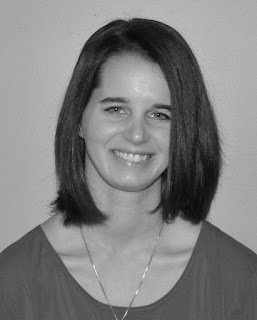 I’m a stay-at-home mom of two young children (one toddler; one newborn). I’m a lifelong dreamer, a hopeless romantic and a faithful (though deeply sarcastic) optimist. I’m also happy to say I’m on great terms with my mother. While writing this book, however, I was also Adrian, single mother, small business owner, and deeply heartbroken cynic—you could even say “eternal pessimist”—whose relationship with her mother is what a good deal of all that cynicism and pessimism is derived from. For a period of about three to four months I lived Adrian’s life. My life isn’t exactly easy (did I mention I have a toddler?). Adrian’s isn’t either, though it’s not-easy in an entirely different way. Living the life of a pessimist, somebody with serious trust issues, is hard. Why did I put myself through it, you may ask? Like I said, I didn’t have a choice. Much like I didn’t have a choice but to be right there on the page as Alexander Barrington fought his way across Eastern Europe at the head of a doomed penal battalion in Paullina Simons’ Tatiana and Alexander; much like I didn’t have a choice but to watch my lover leave as Brianna did near the end of Nora Roberts’ Born in Ice or to mourn the loss of my young childhood friend in the wake of a terrible shooting accident in Robert R. MacCammon’s Boy’s Life. Many of those who have read Gone with the Wind have starved alongside Scarlett O’Hara at Tara though they’ve never actually gone hungry. Many, many children have lived in the cupboard under the stairs with orphan Harry at No. 4 Privet Drive without actually losing a parent. They’ve never had to hide for years in a small annex to escape deportation and certain death...though those who have read Anne Frank’s journal had no choice but to be swept up in that grim reality. Why do we do it? Why do we live these separate lives, every heart-wrenching moment combined with every happy one? Because we’re readers. It’s what we do. While writing His Rebel Heart, the hero, James Bracken, is forced to face up to his mistakes, one of them being the fact that he has not spoken to his mother in eight years. I didn’t just get to be a puppet master, bringing James and his mother together after all this time. I was the mother who hadn’t seen her son in almost a decade, struggling to forgive. I was the son doing everything that he could to bridge the gap and hoping desperately that it’s not too late. Why did I do this? It’s simple, really—I’m a writer. That’s what I do. It’s difficult for me to define the book of my heart. I love every story I’ve ever written, not because I think they were well-written but because I love those characters, those people, the places that they saw, and the happy endings I was able to give them after putting them through their paces. I can’t possibly choose a favorite…though my World War II historical, Forever Amore, that first romance I began in 2003, was a deep, defining labor of love that inspired me in many ways to write romance on a professional level. Those characters still haven’t left me alone to this day and, frankly, I hope they never do. Every book in my hometown series for Harlequin has personal elements interwoven through characters, dialogue, backstory, settings, and scenes. One of the greatest joys I have while writing these books is bringing those from previous books back as secondary characters. 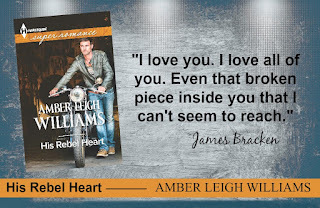 They are the source of several of those lighthearted moments in His Rebel Heart that propelled me through the heavier parts of James and Adrian’s story. I have an incomplete Regency romance I began writing at a time in my life in which I was suffering through personal trauma of my own. It is so associated with that time of my life that although I still feel the pull from its notes and characters, I don’t know if I’ll ever find the courage to finish it. 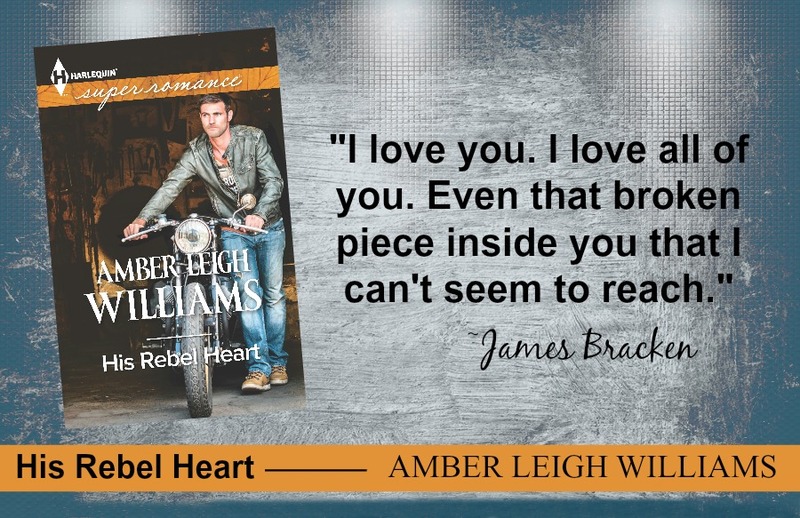 I’m thrilled that I’m finally able to share His Rebel Heart with you, readers, because although I don’t have a favorite book, this one is as close as it comes. I hope James and Adrian touch your hearts as much as they have touched (and lived inside) mine. Here's an exclusive excerpt just for you…. "How can I help you, miss..."
Trailing off, the man opened the screen door and smiled at her in greeting. One of those long, muscles arms held the door open as he stepped down to the sagging porch. The boards groaned beneath him. His eyes were blue. But not just any blue. Maybe it was that his face was so tan or his shaggy head of hair and eyebrows were so dark. But no, those eyes were a fierce, wild, familiar shade of blue. Adrian lips went numb...as did her legs. The pie tipped over the ends of her fingers and landed facedown on the porch boards with a splat. That smile was devastating and, again, familiar. It had been years. Back then, his face had been close-shaved, his hair more kempt. Not one tattoo had marked his body, much less the thick cords of his neck. But there was no way she could have forgotten James Bracken's devil-may-care smile. Adrian watched the smile slowly fade from his features. They didn't stray to the pie on the ground or to her useless fingers, which were spread between them like a supplicating statue. The mirth in those blue eyes faded, too, as they searched hers, pinging from one to the other and back in a quickening assessment. His mouth fumbled and he braced a hand against the yawning screen door. "Adrian?" he asked, finally, the name launching off his tongue. It made her jump. Suddenly, she could feel everything again. The blood spinning wildly in her head, dizzying her, before it fled all the way down to her toes and left her cold, hollow except for the panicked rap of her heart. "I'm right, aren't I?" 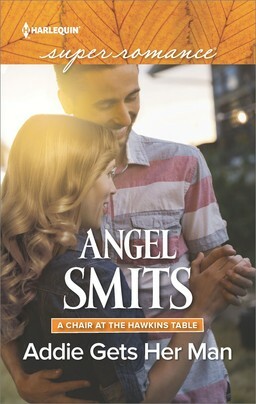 James asked, shifting his stance toward her as hope blinked to life in his eyes--the Scandinavian blues that were a perfect match for her son's. 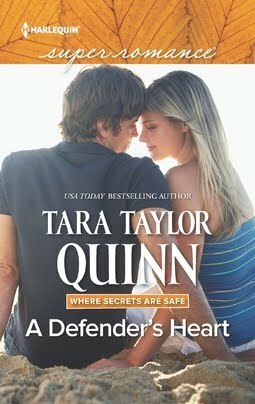 Preorder your copy of His Rebel Heart today for just $3.99 at Harlequin, Amazon, Barnes & Noble, or Kobo! I am always looking for new authors to read. You write the kinds of books I like to read. This one sounds really good. Congrats on this upcoming release! what a great article! I loved reading your writing story. Wow! Now, I have to go buy your new book. Colleen C., thank you very much! Rose, I'm glad you enjoyed it! Cheers!